This Guy Has A Whole PACK of Pitties At Home … Now He’s Saving Them All Over California! 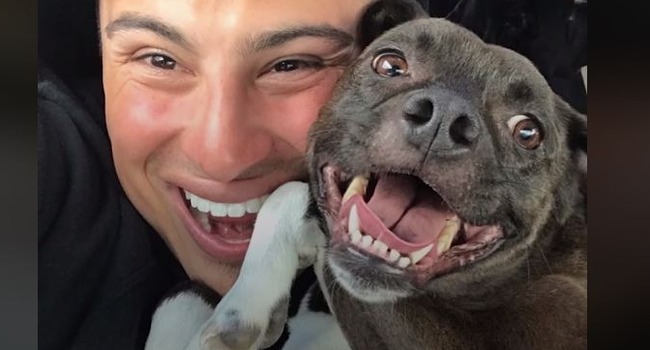 When Drew adopted Mia, he realized how many people have misconceptions about pit bulls. Now he’s on a mission to change minds and save dogs! After bringing home his own pittie, Mia, and experiencing the prejudice against these dogs in his own family, Drew set about changing the way people see these beautiful dogs. He is now a co-director of Reversed Rescue in Los Angeles, CA. And he has a whole PACK of pitties in his house! Great video from Pittie Nation and The Dodo. Check them out and follow their page!